This latest collection from Marshall Artist includes an assortment unique fabrics such as the Marshall Artist Overshirt in fluid nylon. British born designer label, Marshall Artist, returns for the latest season with updated silhouettes, garment dyed outerwear and versatile sweats. Since its launch in London back in 2001, Marshall Artist has become a respected designer label from those in the know, known for its quality jackets and technical overshirts. As seen on the likes of Liam Gallagher, Marshall Artist offers affordability but also comes with the same design innovation and unique fabrics across its seasonal collections. Our latest collection from the brand includes an updated Marshall Artist overshirt in a fluid nylon material and outerwear using innovative fabrics and bold colourways alongside classic sweats for the ultimate style and casual lounging apparel. 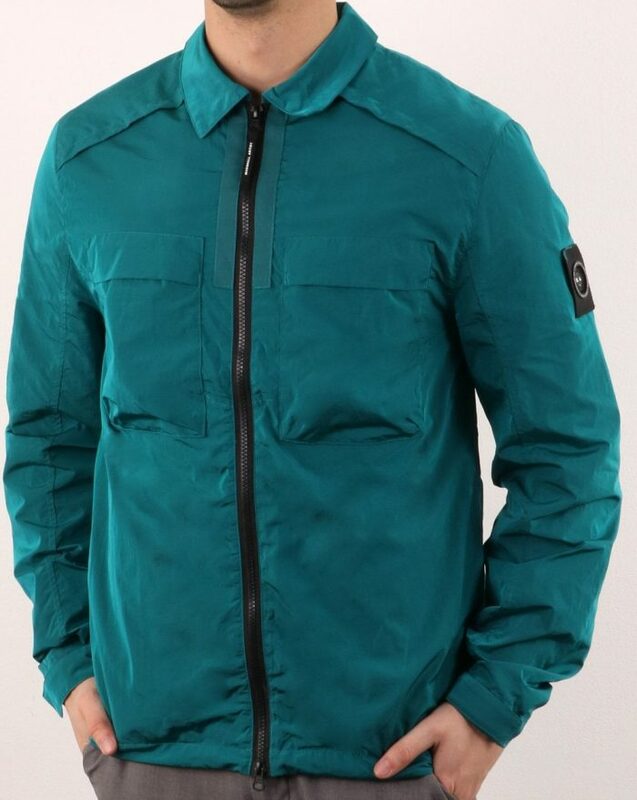 Above: The Marshall Artist Molecular Overshirt in teal now available from 80s Casual Classics. This latest overshirt from Marshall Artist features a fluid nylon fabric for a one of a kind shiny metallic like finish. In classic overshirt or shacket style, as they are sometimes referred to, other features include a full zip fastening to the front, two chest pockets and two side pockets for wallet and phone storage as well as an adjustable drawstring waist and Velcro cuffs for optimal protection against the elements. As usual the overshirts has been finished off with the signature siren branding to the left sleeve. 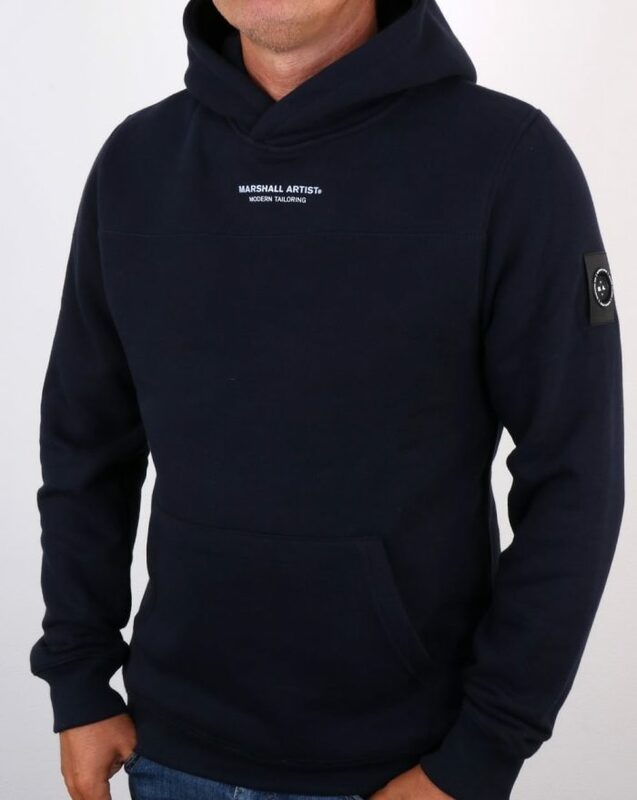 Above: The Marshall Artist Siren OTH Hoody in dark navy now available from 80s Casual Classics. The Siren OTH Hoody comes as part of the latest Marshall Artist versatile range which also features an assortment of styles such as sweatshirts and hoodies for the ultimate in casual lounging style. Features include ‘Modern Tailoring’ branding to the front and their signature Siren branding to the left sleeve. As well as the OTH hoody we’ve also got the sweatshirt version available which comes available in an assortment of fresh summery colourways including Acid Lime, looking like something straight out of the 90s. 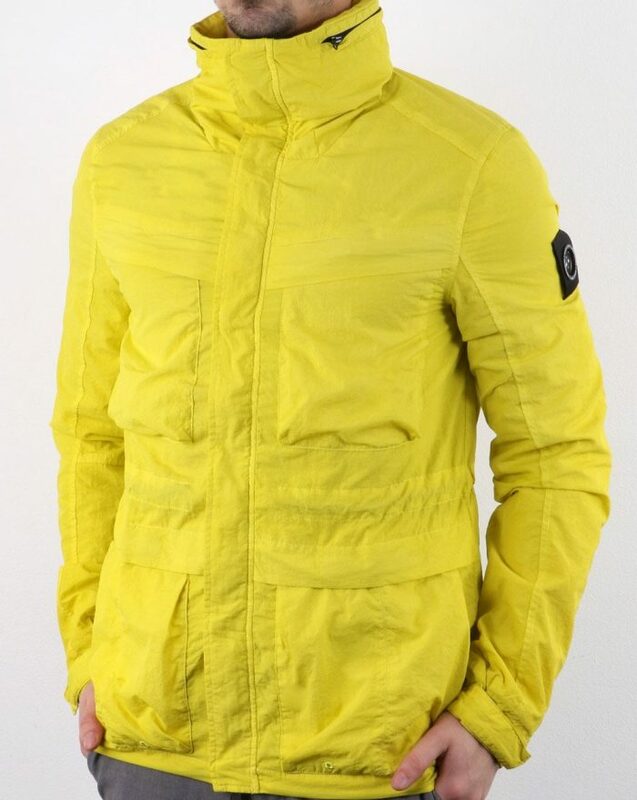 Above: The Marshall Artist Garment Dyed Field Jacket in yellow now available from 80s Casual Classics. Marshall Artist have always being held in high regards for their outerwear offerings and this latest jacket addition shows us why. Featuring a military inspired field jacket silhouette, the jacket is garment dyed and features a lightweight cotton fabric and a bold yellow colourway. 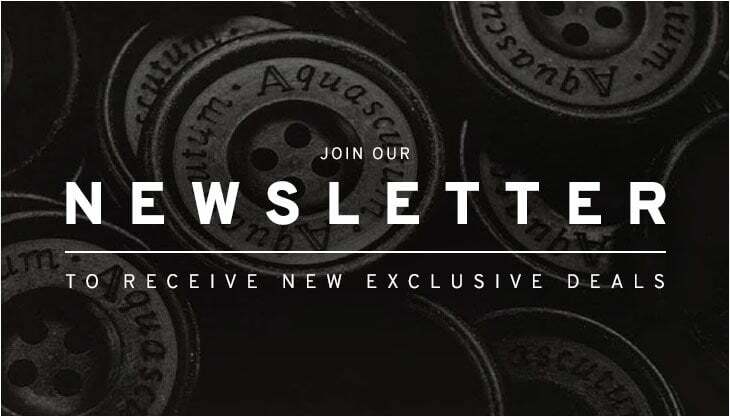 Features include a stow away hood to the collar, four large pockets to the front for extra storage and an adjustable drawstring waist for a more personal fit. The Garment Dyed Field Jacket is also finished off with the MA siren branding to the left sleeve.